Recently a dojo opened across town here in Livermore. I knew about where it was, but didn’t have any desire to see them or know exactly where they are. I have enough things of my own to deal with without worrying about what others are doing. A few days ago some friends wanted to get dinner at a new place, and as it happens it was next to that new dojo. As I looked at their storefront here’s how it read: Karate/Kung Fu/Tae Kwon Do/Krav Maga/Boxing/Judo/Jiu-Jitsu/Aikido/Dance/Ballet/Cheer/Yoga. If you’re counting, that’s 12 different things. Being the naturally curious type, I stepped inside and asked the gentleman, “sir, I see you guys offer a lot of different styles, how many teachers do you have?” He responded, “I teach the martial arts side, and my wife and daughter teach the dance and yoga.” When I asked him how it was possible that he was trained in so many different styles, he only told me he had trained in various styles for 15 years. It stands to reason if you’ve trained in eight different styles, you’ve quit at least seven, right? If he’s averaging a couple years per style, how does that make him an expert on any of them? If you spend 15 years studying eight different musical instruments, you’ll never truly become an expert at any of them, right? It’s natural that many disciplines will incorporate different styles into their system. 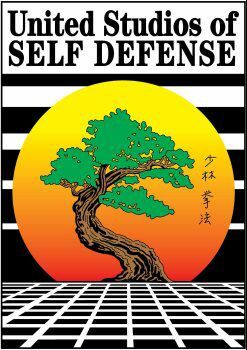 The Shaolin Kempo system taught here at United Studios of Self Defense for example, is a mix of karate, kung fu and Jiu-jitsu, but I don’t claim to teach those three different styles, but rather the Kempo system! My point is to be wary when you see schools advertising so many different styles like this. There’s no such thing as mastering six different styles. One lifetime simply isn’t enough to master so many. Spend time to truly know one style, and once you achieve that level of expertise, you’ll realize there simply is no need for so many others!